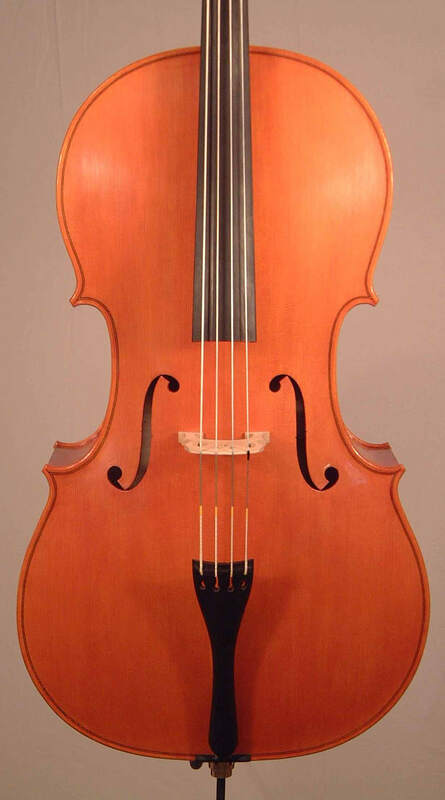 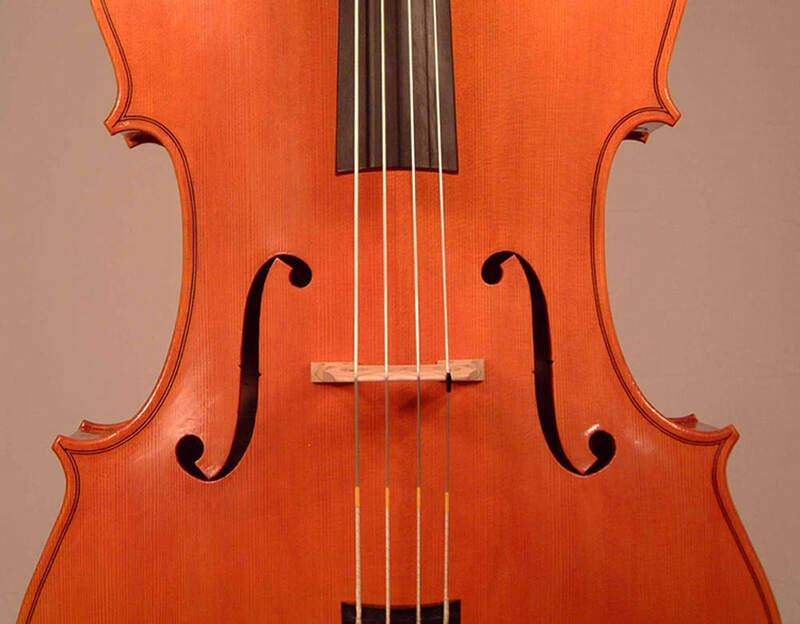 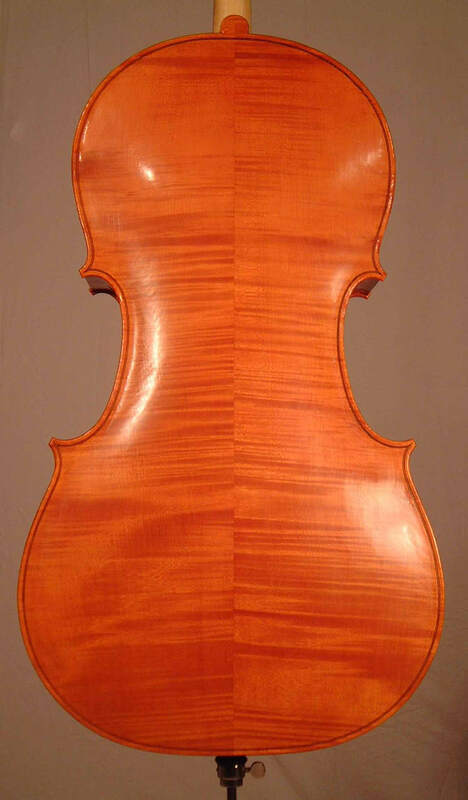 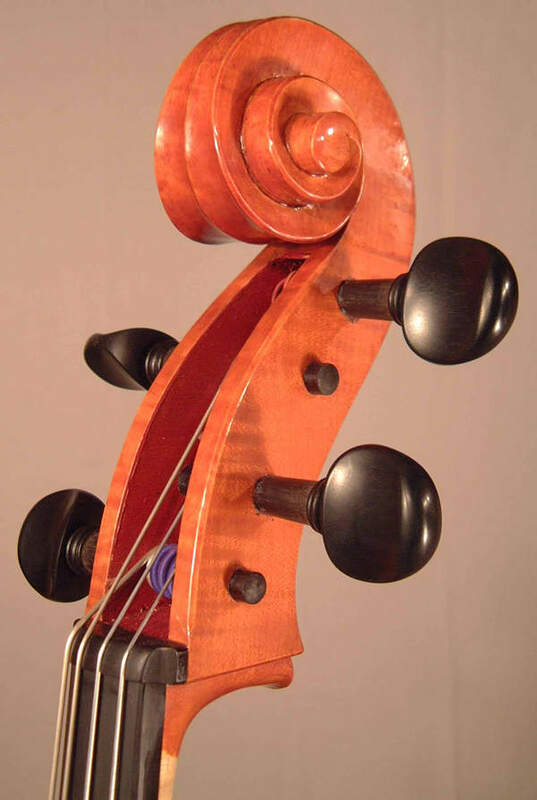 The cellos I have made all have their origins in the the Stradivarius Haussmann instrument of 1724. 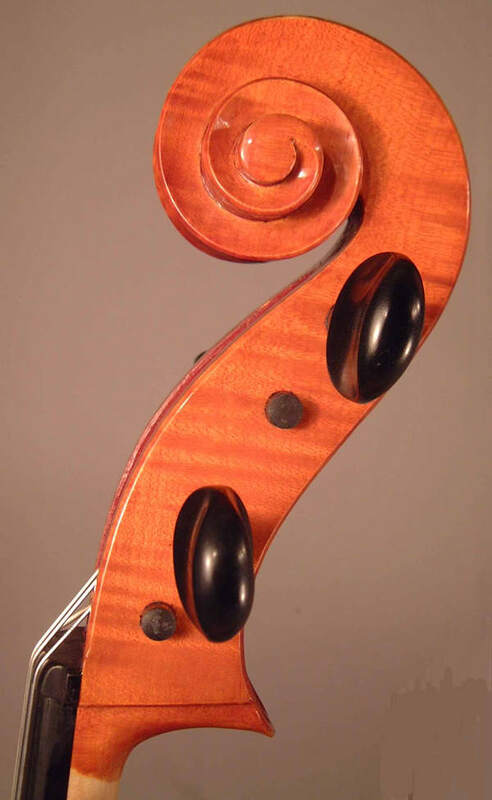 Variations have been made in back and table archings and rib depth, to perfect the even resonance and avoid unacceptable wolf notes. 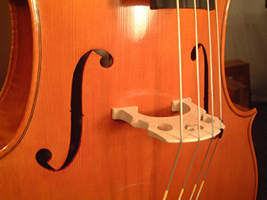 Alternative patterns may be commissioned.